I am a newlywed and mom to a precious bunny, Tornado (he truly lives up to his name). We reside in Atlanta GA but I spent most of my years growing up in Portland OR so I am extremely picky when it comes to food quality. I am here to help you create top notch food experiences so you can WOW your family and friends. I only publish recipes that I am obsessed with and have spent hours, days, and sometimes years perfecting. My recipes use the highest quality ingredients. You won’t find items like whipped “toppings”, imitation flavorings, or boxed puddings on my blog. I believe that real, whole ingredients allow your food to truly shine. Everything I create is scratch-made with minimal exceptions. 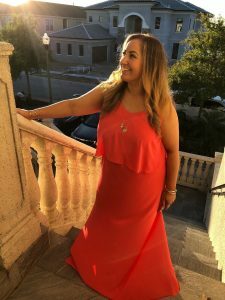 I love connecting with my visitors and I am always happy to offer clarification or answer any questions you may have. Please feel free to comment on any of my posts with your questions or feedback. I check them frequently and should be able to get back to you pretty quick. I realize your time and ingredients are valuable and I want to help make your experience with my recipes a complete success. 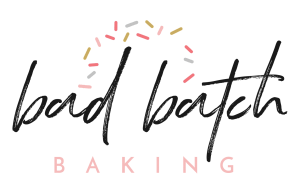 You can also reach me by email at BadBatchBaking@gmail.com. Thank you so much for trusting in my recipes, it validates my hard work.